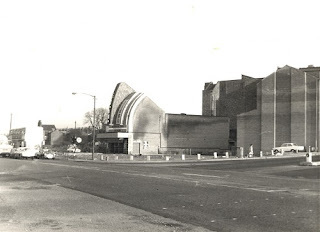 After the main frontage was removed in the 70s in preperation for the Chester Road widening. Houses and businesses along this route were subject to compulsory purchase orders with only the Essoldo and church surving whilst having to surrender the land around the front. There is also a section of business premises yet to be built on the corner. The building looks a little lost!